It’s that time of year when everyone gets in the giving spirit. Parents try to fulfill wish lists for their kids, and bring joy and cheer and smiles to their faces. 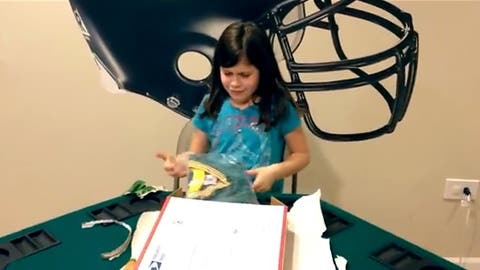 Given the accents, the backdrop and the discussion in this video, we’re going to go ahead and believe this Dad of the Year candidate is a Bears fan, as is his daughter, identified as Maddie. Looks like Dad might be a late addition to Santa’s naughty list. Maybe that’s how Aaron Rodgers feels when he flies.